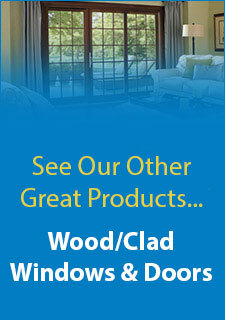 There are several ways to determine whether or not it is time to invest in a new window install in Lexington. The more you know about windows and how they change your home, the better adept you will be at choosing the right contractors for the job. Here are a few bits of information on what you should know about windows before you invest in new windows for your home.Your Windows Could Cost You MoneyWindows can cost you money. This does not mean the price of the windows themselves. Your windows can actually cause you to lose money if they are inefficient. It is stated that a large portion of wasted energy in the world comes from homes that do not have the right windows. When energy and heat escapes through leaky windows, it forces your HVAC unit to work even harder to keep your home warm, which can result in a complete waste of energy.Different Strokes, Better ResultsIf you have the kind of home that can support skylights, they can make a great addition to your house. In fact, skylights are able to provide much more sunlight for your home. If you enjoy letting in as much sunlight as you possibly can, then it is a good idea to speak with professionals about the benefits of skylights in your home.The Finish MattersWhat finish you decide on for your windows can make a huge difference in how they handle over the years. Wood, for example, rots easier than, say, vinyl. And vinyl, for all of its benefits, can wind up fading in color much quicker than other materials. Weigh out your options before making a decision to ensure that you are choosing the material that works best for your home.When the time comes for new window install in Lexington, it is important to know what you are dealing with. Do the right research and you will be able to make the right choices that will benefit your home and your lifestyle.